The BIOS signature check is for Polaris GPUs. It has nothing to do with the R9 290. I have a Rx 480 with a notebook vBIOS in my laptop while AMD does not seem to distinguish between the desktop and the notebook version, I tried using the atikmdag-patcher-1.4.6 to patch my Rx 480 with a modded vBIOS to unlock TDP from 75W to 110W with some other minor changes but the BIOS signature check patch does not seem to work, my operating system is Windows 7 Pro SP1 x64, not sure what I am doing wrong I uninstall the driver with DDU, restart, install the driver then patch with atikmdag and then restart yet I still get Error 43 in the system from signature check failing to verify. Everything works fine with standard vBIOS's its only the modded ones. So far I have tried the following drivers, ReLive 17.11.4, Adrenaline 18.2.1, 18.5.1 and 18.7.1, none of them worked the only on that did work was that 2 year old Crimson driver before they added the BIOS checker. Any advise? I tried flashing the desktop reference vBIOS too without luck still same error, running the tool with administration rights, even tried turning off driver verification in W7 to no avail. there is another limit apperently, how to remove it? I've ordered a new GPU which doesn't have any of analogue outputs. 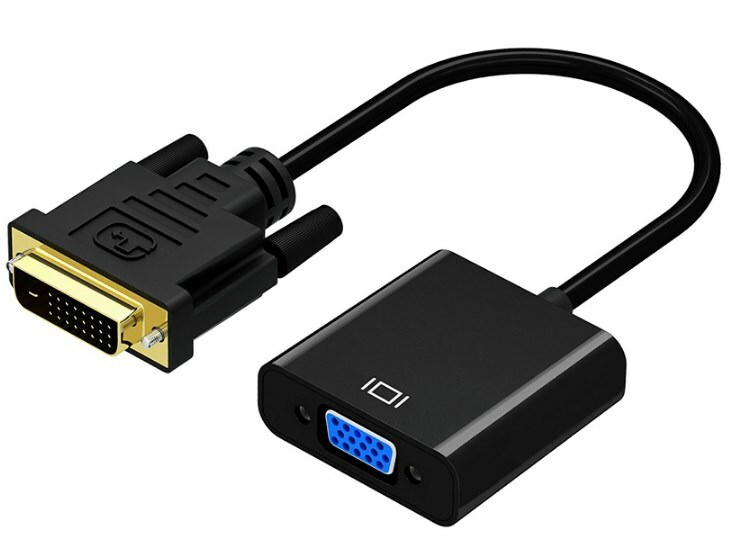 Would like to know if such converter can handle a 200Hz CRT. I have a problem with my R9 380 4GB the card was used for mining but after I put the correct BIOS on it it shows my memory and GPU clock speed at 0. You say in you description to run "atikmdag-patcher.exe" where exactly is the exe file I can not see in the archive you've put for download. Or is there a tutorial I missed on how to use the software? (09-07-2012 09:07 PM)ToastyX Wrote: AMD/ATI Pixel Clock Patcher modifies the AMD/ATI video driver to allow higher resolutions and refresh rates by removing the 165 MHz pixel clock limit for single-link DVI and HDMI, the 330 MHz limit for dual-link DVI, and the 400 MHz limit for VGA. Version 1.4.6 is compatible with Catalyst 11.9 to Crimson 18.9.1. It can be used with future versions if it finds the limits you need. After modding bios and patching using this patcher in last few I can't remember how many driver releases there seems to be driver constantly reinstalling PciBus driver at every boot causing realtek driver to reset itself and not save EQ settings after reboot also changing default audio device. Using DriverStoreExplorer I noticed there are 2 pcibus drivers 18.30.0.0 and 18.45.0.0. Maybe that has something to do with this? Will there be an update to this patcher? (11-27-2018 10:37 AM)fikser Wrote: After modding bios and patching using this patcher in last few I can't remember how many driver releases there seems to be driver constantly reinstalling PciBus driver at every boot causing realtek driver to reset itself and not save EQ settings after reboot also changing default audio device. That has nothing to do with the patcher. If you don't see the .exe file, then your antivirus is deleting it without telling you. I am getting a "Driver file to large" error when attempting to patch the latest AMD driver 18.12.3. Is there a workaround for this problem with the latest driver? (01-05-2019 04:57 PM)Hunted Wrote: I am getting a "Driver file to large" error when attempting to patch the latest AMD driver 18.12.3. Is there a workaround for this problem with the latest driver? You shouldn't be getting that message if you're using the current version of the patcher. Hi , I put ver 1.4.6 under atiflash 2.84 Folder , I still get same Message.